The Wilson 2 player badminton set has been designed for junior players who are new to the game and includes everything you need to get a game going. It comprises of 2 Wilson Badminton Airlite alloy rackets ensuring lightweight strength, as well as 1 Special training 'ball' shuttlecock and 1 nylon shuttlecock to provide first-time players with a combination of playability and durability. Great for use in the garden or at the beach, the set guarantees hours of excellent fun and comes in a convenient carry bag. for submitting product information about Wilson 2 Player Junior Badminton Set We aim to answer all questions within 2-3 days. 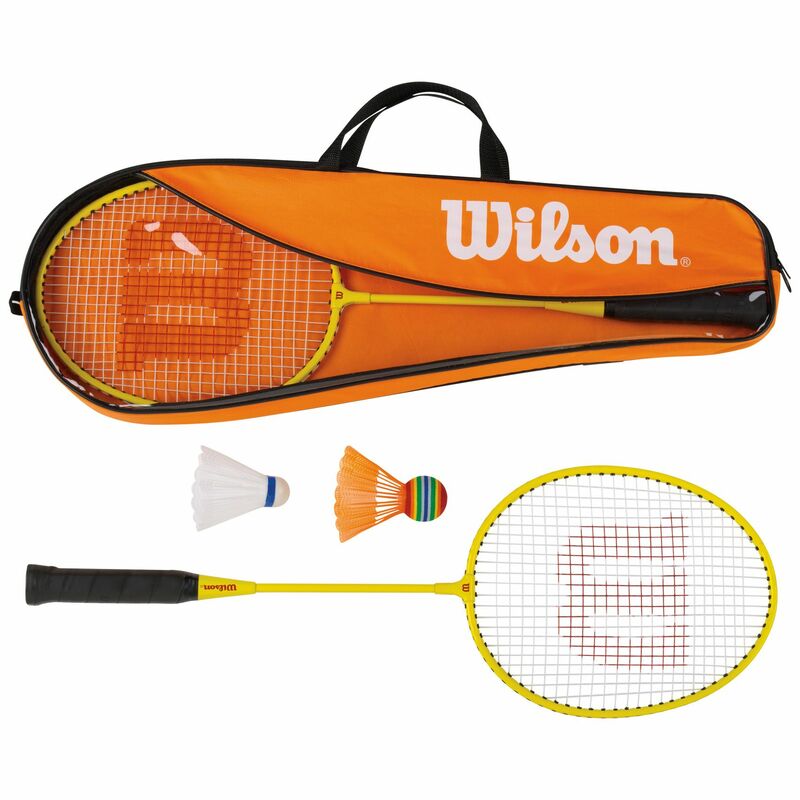 for submitting product information about Wilson 2 Player Junior Badminton Set. We aim to answer all questions within 2-3 days. If you provided your name and email address, we will email you as soon as the answer is published. for submitting product review about Wilson 2 Player Junior Badminton Set.